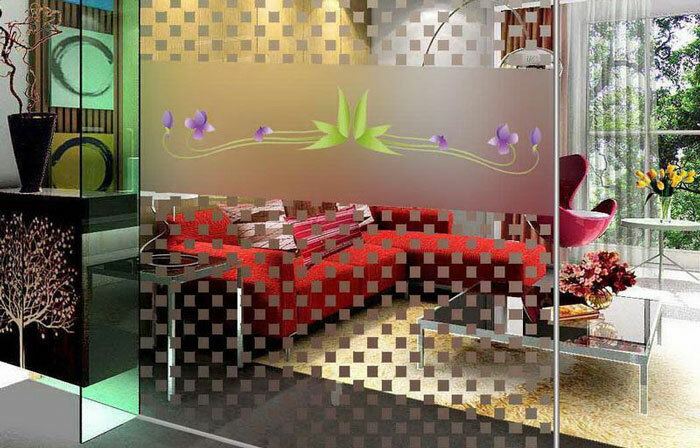 Another type of glass dividers are glass walls. Fixed in an aluminum or wooden frame, glass dividers are a series of individual glass panels. You can divide the space in your restaurant by using glass walls, or perhaps provide your guests with an ambience akin to that of sunroom or screened porch by installing glass walls that allow light to enter inside. You will also find glass walls with upper half made out of glass panels and lower half made from brick wall. Restaurants looking to let natural light in will find glass walls as the perfect glass dividers. There are four main styles of glass dividers. Let’s take a look at them. Made out of glass panes set into plastic, metal, or wood, freestanding partition is the first one. In order to allow the partition to stand on its own, these panels are hinged for staggered positioning. This partition style is ideal for breaking up large spaces and for using as decorative accent. The next type is the permanently mounted glass partitions. They consist of a single glass pane attached with brackets to furniture, floor, ceiling, or the wall. For visual privacy between restaurant booths, you can use the bracket-attached glass. Set into rails on the walls, floor, or ceiling, the next glass divider style is the sliding glass door partitions. Allowing for various positions depending on your needs, each panel slides back and forth. For better privacy, use sliding glass door partitions. Separate sitting space or meeting areas by using sliding glass panels. Sliding glass door partitions also allow you to open up a lot of space. Designed in hinged metal panels, the final glass divider style is the motorized glass room partitions. You can divide space in the restaurant by using motorized glass room partitions. Made from heavy grade materials, these partitions serve as excellent security and privacy barriers. You may have trouble choosing the appropriate glass divider style for your restaurant. However, you can be sure of one thing—your restaurant privacy is only a glass divider away!